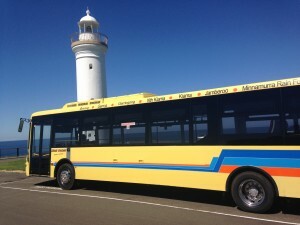 Kiama Coaches was started way back in the 1940s with a service around the beachside area Marsden Street Kiama to Kiama Township. Over the years and several proprietors the company has grown to service the following areas of Kiama to Gerroa via Gerringong Route # 701 Kiama to Jamberoo and Albion Park Route # 702 and our service for Kiama schools from North Kiama to all schools in Kiama. Gerard King purchased the business in 1993 with a partner then purchased his partner out in 2013. The business has successfully operated throughout this period doing contracted service and school runs for TfNSW, Rail Replacement for Sydney Trains and general chartering for other clients. In March 2015 Gerard and John King formed as partners and together brought Hopkinsons Coaches in Smithfield Sydney to further assist our chartering business, Mr. Graham Hopkinson passed away in 2012 after owning the business for over 30 years, previously owned by the Try family. 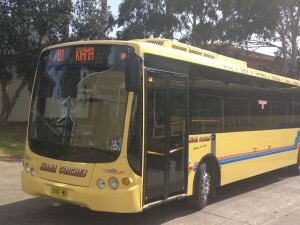 This latest business move allowed us to become a part of the much bigger company The Premier Transport Group. With this successful alliance we are able to offer our customers a greater range of services and provide transport for groups of up to 2,500 passengers using our own fleet of coaches. We proudly present our drivers and vehicles on a daily basis to assist our customers with their transportation requirements. Our mission is to provide Safe, Reliable & Comfortable coaches to everyone that travels with us.